Working in the construction industry is a dream come true for some people. People who enjoy working in construction love the idea of seeing a project progress from an empty lot to an impressive structure. If you are interested in finding a construction job, there are numerous opportunities available. You can find entry-level work and soon progress to more specialized tasks. If you are willing to work hard, serve as a team player and have a positive attitude, you can expect to find numerous employment opportunities. Here are some ways you can find the construction job that you want. 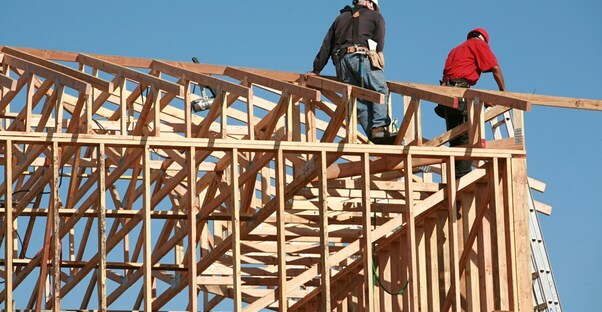 You should think about the types of construction jobs for which you are qualified. If you are interested in something like carpentry or glazing, you may need to have a specialized skill set. If you are interested in contributing to the construction of a building or preparing a job site for construction, you may not need specialized skills. People who wish to work in construction management typically need experience and educational backgrounds. Being a construction manager requires a thorough knowledge of OSHA requirements. Managers need to be aware of the safety risks that workers face and find ways to minimize these risks. If you are interested in a particular position, you may want to reach out to a construction site manager and ask which skills are required for the position. This can also serve as an effective form of networking that indicates your interest in the position. If you are interested in finding a position as a construction worker, you may want to send a resume to local development companies. When a development company has a new construction project, it may contact you for an interview. By being proactive and giving your resume to development companies, you show that you're interested in finding work. There are several well-known websites that specialize in posting information about construction jobs. ConstructionJobs.com is an example of one of these websites. You may also want to work with a staffing agency if you are interested in finding work as soon as possible. Construction agencies can place you with the right company or project for your skill set. One of the best ways to find work as a construction worker is to simply tell fellow workers and supervisors that you are looking for work. Even if a former manager does not have an open position for you, he or she may know of other projects that you can contribute on.